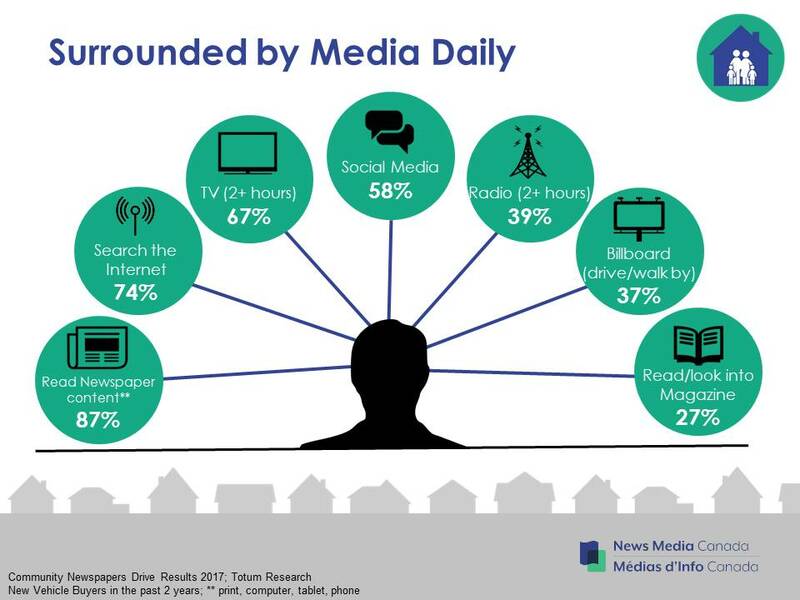 Consumers are surrounded by media daily. Research from eMarketer finds that adults in the US are now spending more than half the day with media. The average person is exposed to hundreds of ads and thousands of brands each day, but it is estimated that only 12 ads will make an impression. Advertising emotionally motivates consumers to research and ideally buy the product/service being advertised. Increasing consumer engagement helps advertising break through the clutter of thousands of daily ad and brand exposures. 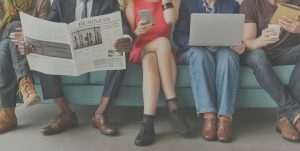 Updated research from News Media Canada includes data on media exposure in the automotive category and demonstrates the many ways consumers are engaged with community newspapers. Key considerations to make sure your ad is noticed include trust, engagement and frequency.